Polyethylene terephthalate (PET) plastic is widely used for jars and bottles due to being strong, lightweight, shatterproof, having good chemical and heat resistance and it being a strong barrier to moisture and gas. 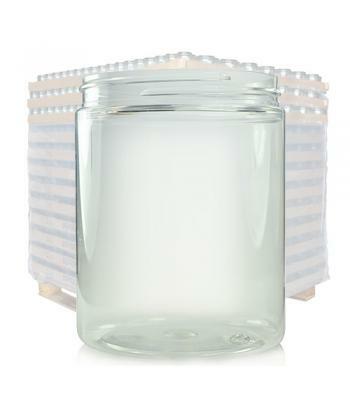 In addition to this, our clear PET jars offer great product clarity. 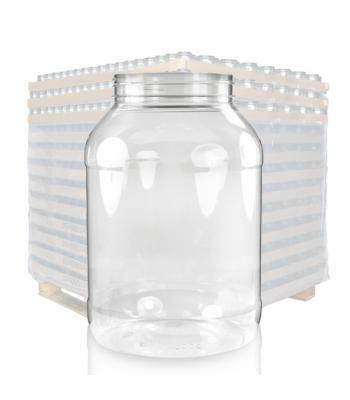 All of our PET jars also have a wide neck, which enables the easy filling and dispensing of products. 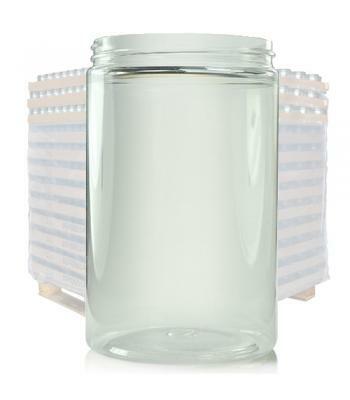 We have a range of stylish cylindrical jars and round shaped jars to choose from. PET is formed by combining modified ethylene glycol and purified terephthalic acid. The plastic is safe for food use and it does not contain Bisphenol A (BPA). PET is also fully recyclable. 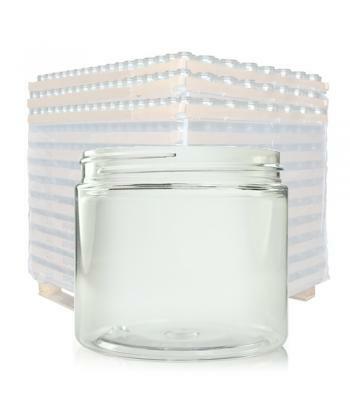 Our PET jars are suitable for cosmetics and toiletries, including creams, lotions, gels, waxes, body scrubs and bath salts. 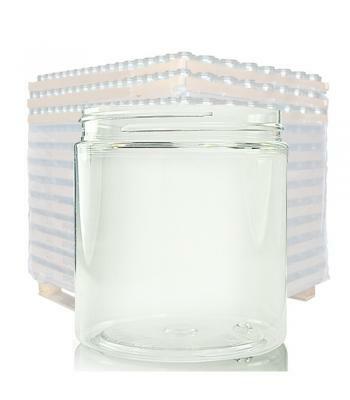 They can also be used for other products, such as samples, craft materials, aromatherapy products and general storage. 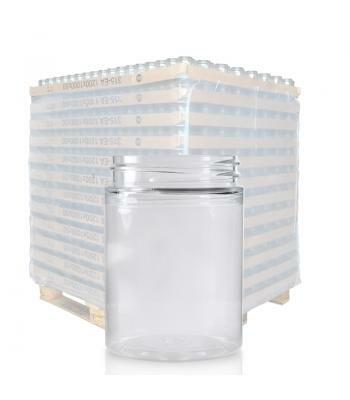 Our PET jars are available in the following sizes: 25ml, 50ml, 75ml, 100ml, 150ml, 200ml, 250ml, 300ml, 400ml, 1 litre and 3 litres. 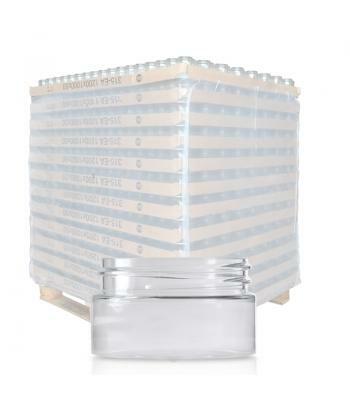 The smaller sized jars are ideal for samples and travel products, while the larger jars are suitable for full size cosmetic products, confectionery and bulk storage. 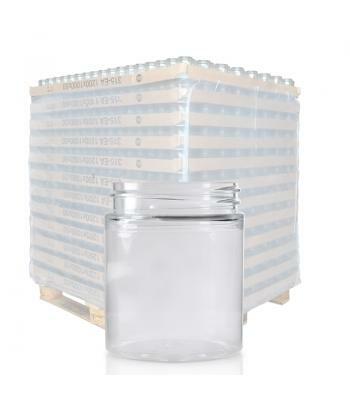 Each jar comes with a choice of screw on lids, with black and white plastic being the standard options and aluminium lids available with some jars. 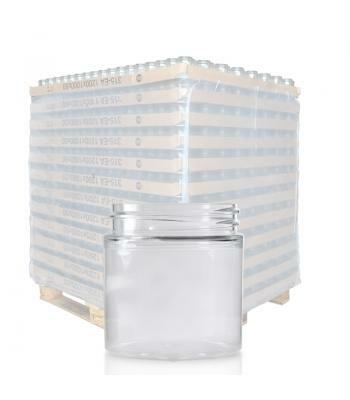 The 1 litre and 3 litre jars have the option of a 100mm black or white plastic induction heat seal (IHS) lid. If required, you will need a heat seal machine (not provided) to seal the liner onto the jar. This will create a tamper evident inner seal.